Students with Aspergers and High Functioning Autism (HFA) may fall anywhere in the continuum between withdrawn and active but odd. These children want to communicate with their peers - but may lack the ability to do so. They do not understand what people are feeling or thinking and have difficulty empathizing with them. When asked to imagine themselves in a particular situation, they experience great difficulty and may not be able to role-play. There is a lack of understanding of body language and social conventions, and they have great difficulty in making and sustaining friendships. Because of this, Aspergers and HFA children miss out on many aspects of teenage culture. For example, they may have no knowledge of pop music, football, fashion etc. Therefore, when such topics are used to stimulate interest in examination questions, they can be at a disadvantage. These children have little appreciation of personal space and often get too close to people. This, combined with inappropriate body language, can be misinterpreted by others as threatening behavior. They find it difficult to work in pairs, to be part of a team, or to participate normally in classroom discussions -- and need direct teaching. Because of their desire for friendship, Aspergers and HFA children can be very vulnerable and easily persuaded to do things without being aware of the consequences. Disruptive behavior (e.g., self-directed injury, tantrums and aggression) is thought to be the result of communication difficulties, but the teacher in the classroom may be concerned for the safety of other students and restrict the use of certain equipment in practical lessons and participation in outside activities. Hence, the student with Aspergers or HFA may have had a narrower educational experience than his or her peers. Most of the social difficulties described are the result of communication problems. Syntax and grammar are rarely a problem, but there is often a non-productive, pedantic, literal use and understanding of language. Speech may be flat and robot-like, and possibly accompanied by distracting gestures (e.g., body swaying or grimacing). Aspergers and HFA children try to understand what the words mean rather than what the speaker means - and may be confused by idioms and metaphors. A question such as "Can you tell me the names of _____" is likely to be answered with a 'yes' or 'no'. These children tend to find the written word easier to understand than the spoken. Some may be able to read mechanically beyond the level of their understanding (hyperlexia). Their writing shows a rigidity of thought, and they often produce learned patterns of phrasing in answers to examination questions. Orally, Aspergers and HFA children can be very boring, because they spell out everything in great detail and because of their preoccupation with a particular interest or topic. They can't build on what others say, have poor topic maintenance, and are unlikely to make appropriate eye contact. It is not uncommon for these kids to have had delayed milestones in their motor development - and for clumsiness to persist into adulthood. Both fine and gross motor skills are involved, thus their performance in sports will be affected. The arrangement of written work is often poor with deeply marked crossing-out. Handwriting varies from being very small and almost illegible to being large with poorly formed letters which overlap the lines. Kids on the autism spectrum are perceived to be intolerant of individuals as well as the environment. They become very anxious in unstructured settings and where people are moving at random. Many may not be able to tolerate people close to them. Noise, whether it is sudden or it comes from general background activity, can cause acute stress, fear and even panic - and at the very least the student will be distracted and unable to concentrate. Factors causing stress are very individual, although all find alterations to routines very disturbing and have difficulty in making choices. Some respond to stress by antisocial behavior. Repeated swearing is not uncommon, and others may have to remove themselves physically from the situation. A quiet environment, free from distractions and where rules are followed rigidly can do much to help these "special needs" students to concentrate. Carrying an object can give them a sense of security. The nature of this can seem quite bizarre to others (e.g. a AAA battery). 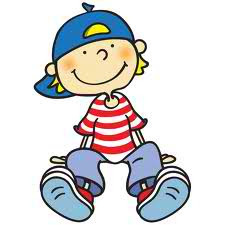 But without it, Aspergers and HFA children may be unable to settle or concentrate. Some derive comfort from repeating a set ritual of some kind - and it can be long and complex. 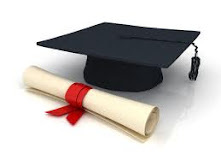 It goes without saying that the ritual, however time-consuming, will have to be carried out in an examination situation, and the comfort object allowed to be present if the student is to be able to cope with the stress of taking the examination. Verbal ability tends to be stronger than non-verbal, and this results in uneven attainment across the breadth of the curriculum. This is reflected in examination results and also within subject papers. The student may be able to do exceptionally well recalling facts or applying well practiced methods - but may score poorly or not at all when asked to imagine a situation or to comment on the nuances of a fictional text. Some show areas of exceptional ability. But these are usually confined to one subject and may be in a limited area of that subject. But, the young person displays an insight and a knowledge way beyond others in their age group. Often this is linked to their main interest or obsession. 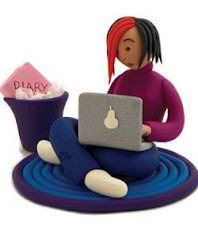 Obsessional interests tend to dominate the thinking and much of the life of many students on the spectrum. Sometimes these change abruptly - but many persist for years and perhaps for life. These young people become very knowledgeable about their interest and go to extreme lengths to pursue it. In an examination, whether written or oral, the student will tend to see everything in terms of this interest and bring it in to all answers. It will tend to take over, and the student will wander off the point of the question and not know when to stop. There may be a request that a comfort object is allowed in the examination room. 2. Extra time: A request for extra time should be made to examining boards, because students on the autism spectrum find it hard working on a time limit. While working on a time limit may cause excessive stress to some Aspergers and HFA students, it could be counterproductive to others who would feel that they had to keep writing even if they had completed their answers. 3. Presentation of examination papers: There may be a request that the question paper is presented on plain paper and in one color, because the student finds a range of colors confusing. 4. 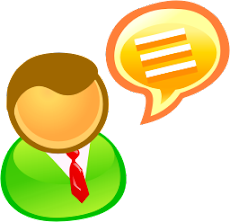 Use of language in question papers: There may be a request that carrier language of questions is modified to be as clear as possible. This would be similar to the request made for congenitally deaf students who also need clear, unambiguous instructions and an avoidance of abstract ideas, except when understanding such ideas is part of the assessment. 5. Prompting of the student when it is time to move on to the next question: This may be requested because of the student's obsessional behavior, which may cause him or her to keep writing on a particular topic, totally unaware of the passage of time. The student may have been used to being moved on in class, and such prompting is allowed in examination conditions. 6. Word-processing and handwriting: If the student's writing is illegible or if motor control is so impaired that handwriting is difficult or excessively slow, word-processing may be the usual method of written communication in class and may be requested for examinations. Alternatively, there may be a request that the student be exempt from the assessment for handwriting, etc. the general appearance of the paper, including diagrams and labeling, etc. Is it Attention-Deficit Disorder (ADD), an Autism Spectrum Disorder (ASD), or Both?! 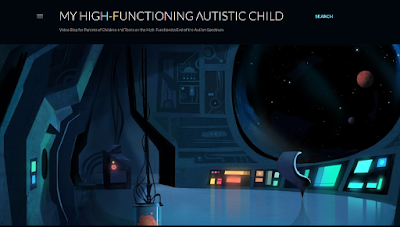 Children with High-Functioning Autism (HFA) and Asperger’s (AS) often face challenges related to their ability to interpret certain social cues. A term relating to these challenges is “executive functioning,” which includes skills such as inhibiting inappropriate responses, organizing, planning, and sustaining attention. 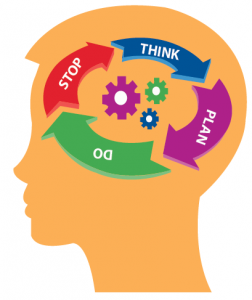 Difficulties with executive functioning can manifest themselves in a variety of ways. Some HFA and AS children have difficulty maintaining their attention or organizing their thoughts and actions. Some have difficulty with complex thinking that requires holding more than one train of thought simultaneously. Others pay attention to minor details - but fail to see how these details fit into a bigger picture. Problems with executive functioning can also be associated with poor impulse-control. Executive function is a set of mental qualities that help the child execute certain skills, specifically (a) regulation (i.e., taking stock of the surroundings and changing behavior in response to it) and (b) organization (i.e., gathering information and structuring it for evaluation). These skills are controlled by an area of the brain called the frontal lobe. Executive function helps the child to avoid saying or doing the wrong thing, do things based on his or her experience, manage time, multitask, pay attention, plan and organize, remember details, and switch focus. Additional warning signs that your youngster may be having problems with executive function include trouble in telling stories (verbally or in writing), starting activities or tasks, remembering, planning projects, memorizing, and estimating how much time a project will take to complete. 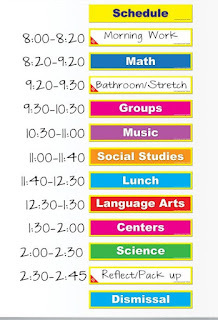 A posted classroom schedule can be very helpful for students on the autism spectrum (see above). Allocation of sufficient time for instructions, repetition of instructions, and individual student assistance is crucial. Assignment checklists can be used to break large, overwhelming tasks into manageable units. Teachers can break long assignments into chunks and assign time frames for completing each one. Creating pictorial checklists (e.g., cartoon picture of the student opening her Math book) and a visual reminder (e.g., countdown timer) of how long each task will take is another helpful strategy. Day planners, including PDAs, can help organize the HFA or AS child. Ask the school for permission to donate a beanbag chair that can be used as a "safe spot" for your child to go to briefly when he or she is feeling over-stimulated. The place should be quiet and peaceful (e.g., next to the secretary's desk, an adjoining room, a corner of the room partially closed off by furniture). Teachers can create separate work areas with complete sets of supplies for different activities. It’s important to make a checklist for getting through assignments (e.g., get out pencil and paper, put name on paper, put due date on paper, read directions, etc.). 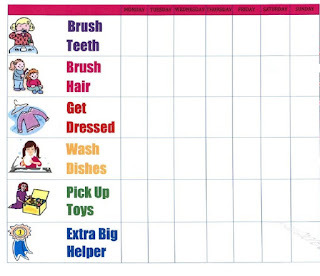 Have the child create his own visual schedules that he can look at them several times a day. Parents should meet with their child’s teacher on a regular basis to review work and troubleshoot problems. Having an organized work space is also very helpful. 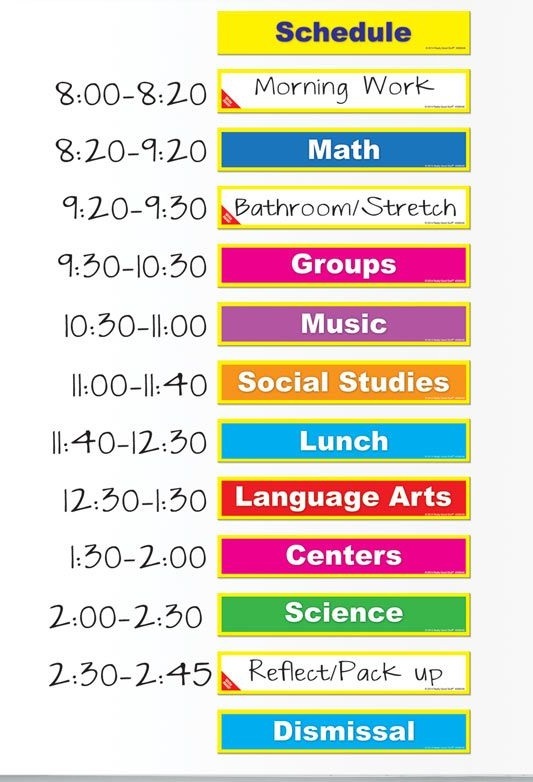 Parents and teachers should plan for transition times and shifts in activities. Preferential desk placement near the teacher and away from distractions is a good idea for kids on the spectrum. Have the child schedule a weekly time to clean and organize his or her work space. Teachers can use a weekly homework log that is sent from school to home and back, keeping all parties informed of work due and progress. Take advantage of tools such as time organizers, computers, or watches with alarms. Teachers should write the due date on the top of each assignment. 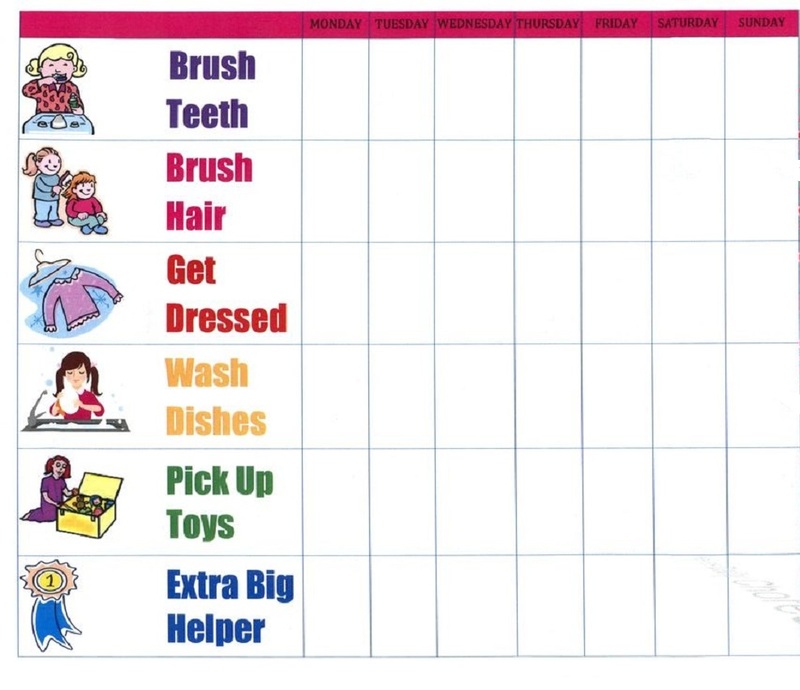 Parents can use visual reminders (e.g., cartoon pictures of certain tasks) to remind their child when it’s time to start homework or complete a chore (see below). The 7 executive functions include: emotional self-regulation, inhibition, non-verbal working memory, planning and problem solving, self-awareness, self-motivation, and verbal working memory. If your HFA or AS youngster can only remember two or three things at a time, often feels overwhelmed at school, has trouble getting started on tasks, and struggles with problem solving, he or she might have an executive function deficit. The key to setting effective boundaries is to involve the entire family in the process. Get everyone on the same page. This is accomplished by implementing a “family contract” in which the house rules - and the consequences for violating those rules - are clearly explained and written on an actual contract. All of these stipulations are written into the family contract, which is then placed in a visible area of the house to be reviewed and revised as often as needed. An effective family contract does not instill a loss of trust, shame, negative guilt, or a sense of abandonment; rather, it instills a sense of greater trust between the youngster and the parents. The purpose of the contract is to help the child internalize rules, organize himself, and acquire appropriate behavior patterns. The temperaments of the youngster and the parent require flexibility. Kids with “special needs” and developmental delays need additional accommodations. Kids raised without reasonable limits will have difficulty adjusting socially out in the real world. In a family contract, rules are established so that the AS or HFA child can learn to live cooperatively with other people in the family. This is a crucial skill for kids on the autism spectrum because (a) they already have social skills deficits by virtue of the disorder, and (b) we are all social creatures by nature, and therefore must learn to get along (e.g., at home, school, work, and the community at large). Just concentrate on two or three rules at first. Allow for your youngster’s temperament and individuality. Apply consequences as soon as possible. In general, it is more effective to anticipate and prevent undesirable behavior than to punish it. Thus, when possible, deal with the difficult behavior in advance - or away from - the actual misbehavior, not in the heat of the moment. An “away-from-the-moment” discussion can help prevent undesirable behavior by giving you the opportunity to teach your youngster the desirable behavior in advance. Avoid nagging and making threats without consequences. Do not enter into arguments with your youngster during the correction process. Ensure that your youngster knows the correction is directed against the behavior and not him or her as a person. Always guard against humiliating your youngster during the corrective process. Model forgiveness and avoid bringing up past mistakes. Ignore unimportant and irrelevant behavior (e.g., swinging legs while sitting at the dinner table). Know and accept age-appropriate behavior (e.g., spilling a glass of milk is not willful defiance for a 4-year-old, whereas refusing to wear a bicycle helmet after repeated warnings is willful defiance in a 6-year-old). Make the consequences brief (e.g., time-outs should last one minute per year of the youngster’s age, to a maximum of five minutes). Mean what you say – but say it without yelling at your youngster. Be sure to prioritize. Safety always comes first, correcting behavior that harms people and property comes second, and unwanted behaviors (e.g., whining, tantrums, interrupting etc.) comes third. Reinforce desirable behavior (e.g., praise positive behavior and “catch” your child being good). Make consequences realistic (e.g., grounding for two weeks may not be feasible). The bottom line is this: Social skills deficits are what give children on the autism spectrum the most problems in life. This is why it’s so terribly important for them to get acquainted with social order as soon as possible. And the best way to accomplish this goal is through the ongoing use of a formal family contract. In this way, when the child begins school life and encounters the list of “school rules” to abide by, the idea of following established rules - and receiving consequences for violating those rules - will not be a foreign concept to the child. Also, your son may be more likely to become agitated if you react too strongly to his behavior or give in to his demands. All kids get frustrated and act-out from time to time, and there is no reason why young people on the autism spectrum should refrain from this stage of development. But how do you know whether or not an agitated child's behavior is "normal"? When the behavior escalates to the point of violence, is it still just simple agitation, or are there deeper issues that need to be looked at? Agitation and resultant “problematic behavior” (i.e., the child’s way of coping with distress) are very common problems in HFA and AS. The child may appear to go into a state of rage or anxiety for no apparent reason (e.g., screaming, crying, resisting contact with others, pushing others away, etc.). Parents often have great difficulty calming their HFA or AS child once he or she has reached the boiling point. The youngster may seem inconsolable, and the episode can last a long time – and can even involve of more aggressive behaviors (e.g., hitting, biting, pinching, etc.). Also, the “emotional release” that typically accompanies the end of “throwing a fit” for non-autistic kids rarely occurs in the HFA or AS child. Similar episodes of anxiety and anger may be seen all through childhood, adolescence – and even into adulthood. Paying attention to the things that trigger your son’s frustration can help you act before his emotions escalate beyond the point where he can control them. Identifying the cause of the behavior is very important. There is ALWAYS some “yet-to-be-unidentified” trigger that brings on difficult behavior. As with such behavior in all young people, there are a number of possible causes. There may be underlying reasons (e.g., feeling upset, anxious or angry), and immediate triggers (e.g., being told to do something). But with kids on the autism spectrum, problematic behavior is usually directed by frustration and agitation. As with most children on the autism spectrum, your son most likely relies heavily on ritualistic behaviors and structure. Structure is a method that helps him to define the world in terms of set rules and explanations, which in turn helps him function. Most kids on the spectrum find their own methods of imposing structure and maintaining consistency. They need this structure because the world is confusing to them; the world is complex and almost impossible to understand. The information your son receives through his senses is no doubt overwhelming and hard to bring together into a strong whole. Also, if he has a learning disability, it makes it especially hard to apply cognitive skills to all these areas at once. When some form of structure or routine is disrupted, the world becomes confusing and overwhelming again (e.g., feeling homesick, losing a comforting toy when feeling alone, starting a new school year, etc.). This disruption of structure may be obvious to you (e.g., having a collection of objects disturbed, being made to go a different way to school, getting up at an unusual hour), or it may be hidden (e.g., subtle changes in the environment which the youngster is used to). Some of these triggers may be out of the control of your son, and some may be avoidable. Most children on the autism spectrum have difficulty understanding others and communicating with them. Thus, frustration, anger and anxiety often build-up. Also, their problematic behaviors often directly serve as a form of communication (i.e., they may act-out because a particular need is not being met, but they don’t know how to use their words to get what they need). Natural tantrums (e.g., in response to changes in routine, or requests to do something the child does not want to do) may well become usual over-reactions in the eyes of parents. HFA and AS children who continue to act-out their frustration in destructive ways after the age of 4 usually need outside help learning to deal with their negative emotions. Problematic behaviors that continue (or start) during the school years may be a sign of other issues (e.g., learning difficulties, social skills deficits, etc.). Talk with a health professional if difficult behavior frequently lasts longer than 15 minutes, occurs more than 3 times a day, or is more aggressive. This may indicate that your son has an underlying medical, emotional, or social problem that needs attention. These are not considered normal child tantrums. Problematic behaviors can include biting, hair pulling, head-banging or inflicting self-injury, hitting, kicking, pinching, scratching, throwing or breaking things, etc. This is where support is needed both in the form of direct interventions related to the behaviors, and in advising and helping you manage episodes in ways that can be applied at home. These difficulties can be improved slowly through education and other interventions. In the meantime, you can help by making an effort to manage the environment so that your son is more comfortable (e.g., providing structure, avoiding distracting information when engaging in tasks, allowing personal space where necessary, etc.). When your son acts-out, this is his way of trying to communicate his needs. Therefore, the cause of the behavior (i.e., an unmet need) must first be identified before teaching and developing other means of communicating. How can children with High-Functioning Autism cope with anger and depression? 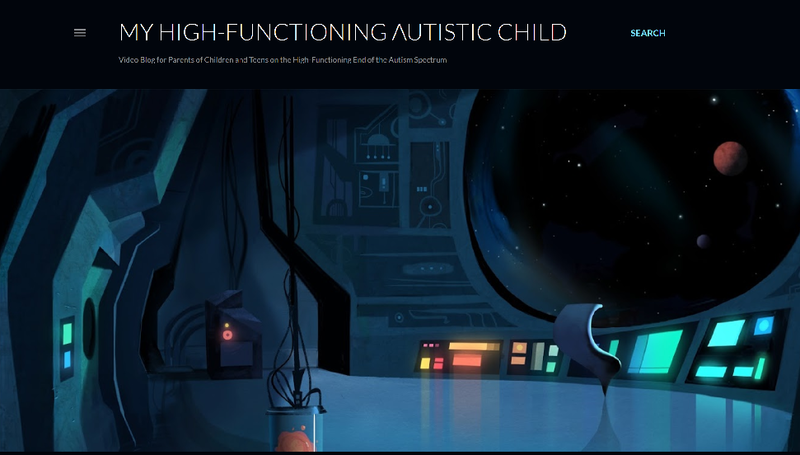 Here's our sister site that provides education and support for parents of children and teens with the specific diagnosis of High-Functioning Autism (Level 1 Autism Spectrum Disorder). Most children with Asperger’s and High-Functioning Autism (HFA) lack emotional intelligence to one degree or another. 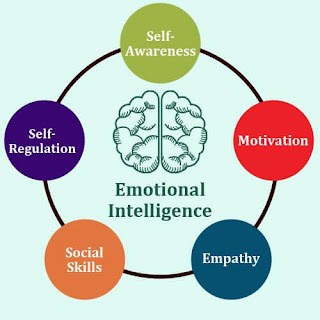 Emotional intelligence is the ability to (a) identify, assess, and control the emotions of oneself, of others, and of groups; (b) harness emotions to facilitate various cognitive activities (e.g., thinking and problem solving); (c) detect and decipher emotions in faces, pictures, voices, and cultural artifacts, including the ability to identify one's own emotions; (d) comprehend emotion language; and (e) appreciate complicated relationships among different emotions. 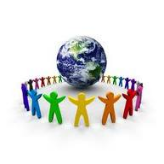 Social awareness: Understanding the emotions, needs, and concerns of other people, picking up on emotional cues, feeling comfortable socially, and recognizing the power dynamics in a group. Self-management: Being able to control impulsive feelings and behaviors, managing emotions in healthy ways, taking initiative, following through on commitments, and adapting to changing circumstances. Self-awareness: Recognizing one’s emotions and how they affect one’s thoughts and behavior, knowing one’s strengths and weaknesses, and having self-confidence. Relationship management: Knowing how to develop and maintain good relationships, communicate clearly, inspire and influence others, work well in a team, and manage conflict. Affective education is basically teaching children with Asperger’s and HFA why they have emotions, their use and misuse, and the identification of different levels of expression. Some of the skills obtained through this form of education include (but are not limited to) the ability to use humor and play to deal with challenges, resolve conflicts positively and with confidence, recognize and manage one’s emotions, quickly reduce stress, and connect with others through nonverbal communication. When parents or teachers begin the process of teaching the Asperger’s or HFA child about emotions, it’s best to explore one emotion at a time as a theme for a project. A useful starting point is happiness or pleasure. A scrapbook can be created that illustrates the emotion. This can include pictures of people expressing the different degrees of happiness or pleasure – and can be extended to pictures of objects and situations that have a personal association with the feeling (e.g., a photograph of a rare lizard for a child with a special interest in reptiles). Another important component to affective education includes helping the child to identify the relevant cues that indicate a particular level of emotion in facial expression, tone of voice, body language, and context. The face is described as an information center for emotions. The typical errors experienced by children on the autism spectrum include not identifying which cues are relevant or redundant, and misinterpreting cues. Parents and teachers can use a range of games and resources to “spot the message” and explain the multiple meanings (e.g., a furrowed brow can mean anger or bewilderment, or may be a sign of aging skin; a loud voice does not automatically mean that a person is angry, etc.). 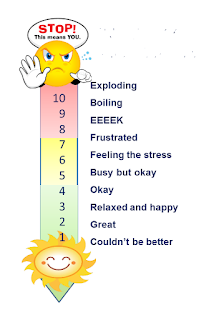 Once the key elements that indicate a particular emotion have been identified, it is important to measure the degree of intensity. Parents and teachers can create an “emotion thermometer” and use a range of activities to define the level of expression (e.g., use a selection of pictures of faces, and place each picture at the appropriate point on the “thermometer.” But, keep in mind that some children on the autism spectrum can use extreme statements such as “I am going to kill myself” to express a level of emotion that would be more moderately expressed by a “typical” child. Therefore, you may need to increase your Asperger’s or HFA child’s vocabulary of emotional expression to ensure precision and accuracy. Affective education can also include activities to detect specific degrees of emotion in others and in oneself using internal physiological cues, cognitive cues, and behavior. Both the parent and child can create a list of the child’s physiological, cognitive, and behavioral cues that indicate his increase in emotional arousal. 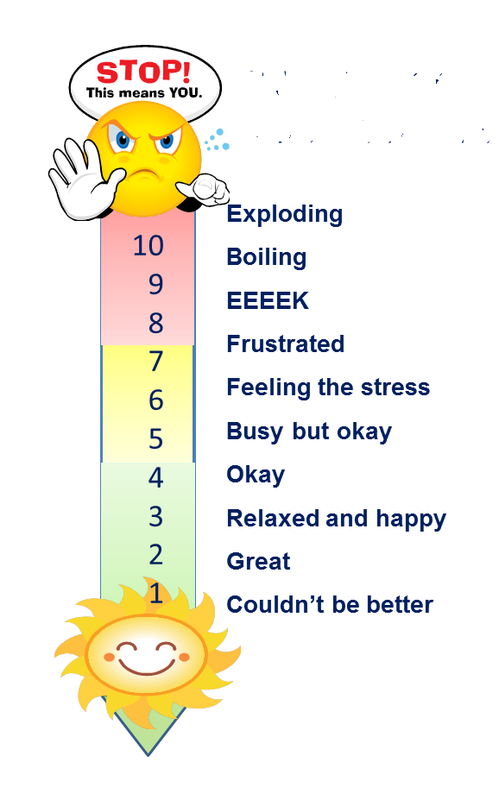 The degree of expression can be measured using the “emotion thermometer.” One of the aspects of affective education is to help the child perceive his “early warning signals” that indicate emotional arousal that may need cognitive control. When a particular emotion and the levels of expression are understood, the next component of affective education is to use the same procedures for a contrasting emotion (e.g., after exploring happiness, the next topic explored would be sadness; feeling relaxed would be explored before a project on feeling anxious, etc.). The child is encouraged to understand that certain thoughts or emotions are “antidotes” to other feelings (e.g., some activities associated with feeling happy may be used to counteract feeling sad). Other activities to be considered in affective education are the creation of a photograph album that includes pictures of the child and family members expressing particular emotions, or video recordings of the child expressing her feelings in real-life situations. This can be particularly valuable to demonstrate the child’s behavior when expressing anger. Lastly, it’s important to incorporate the child’s special interest in this educational process. 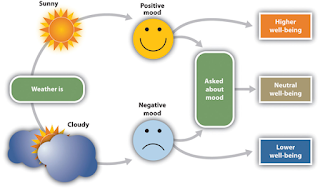 For example, one teacher worked with an Asperger’s student whose special interest was the weather, so the teacher suggested that the student’s emotions be expressed as a weather report. A poster was created with a picture of a calm sunny day on the right side (representing happiness) and a picture of a tornado on the left side (representing rage). 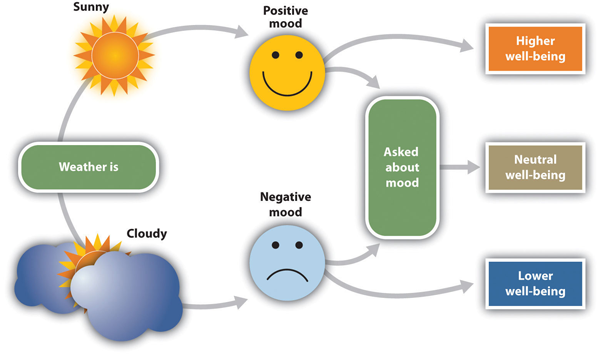 Various other pictures of weather patterns were place in between these two extremes to illustrate other more moderate emotions often experienced by the student. NOTE: Below is a list of common emotions that can be incorporated into an affective education program. Each program should be tailored to the child’s specific needs. I read your articles, follow you on Utube and Facebook. Your information on Aspergers is so very helpful. Best I've found. I first noticed my son as having special differences when he was around 4. When he was 6, I took him to see his first therapist.. which turned out to be one of many over the next 10 years... yet he wasnt diagnosed until the fall of 2016 - 17 years old very bright. By this time, we had been through a lot and his self esteem was low. I requested the doctor not tell him of the diagnosis. Thought he would get more anxious and depressed. My son wants to attend college this upcoming fall. He's very focused on aerospace. My question to you - do you think it is in my son's best interest to be told he is on the spectrum? I'm torn between him taking it hard and making things worse... or... maybe if he knows, he can have an understanding of his differences and make adjustments where needed. If you have any insight or suggestions, I would be very grateful. If you offer phone consultations, I would gladly pay for your time. I want to try to make the best decision for him. I wrote you February 10, 2016. It was about my Aspergers Son, Craig. I wanted to give you an update because some interesting things have happened. My son, 33 at the time had an traffic incident and the hearing has become out of control. It took over a year to come to a sentence and then we had to appeal. It hit the newspaper here about the injustice. He has a great attorney who is willing to stick with him even though he suffered in his practice because of this situation. He is 34 now and we are starting over. It seems like it may be the same situation again so I am preparing letters of support from people in this area. He has been in counseling for this time. He has been free to work. He has amazed the court system with his character and yet they still want to label him. He has been through neurofeedback therapy and cognitive therapy for a diagnosis of autism with PTSD. I am grateful that he has grown and has had a mild breakthrough in his thinking. His paranoia and PTSD has been linked to his upbringing and his fear that his dad is going to be after him. It has brought his brother and himself and his sister and me together. It is drawn out so it is difficult now. I have learned a lot and am looking forward to sharing with others and helping others. Through this I have become aware that there needs to be more education for the average person, for parents, for police and people in authority. This is becoming a big nightmare but I am hoping in the end it will be justice. Thanks for helping people and children on the autistic spectrum. I have a daughter and grandson with autism. I believe my ex husband was autistic also. Would you have any referrals in Orange County, Calif. for doctors and or psychiatrists that specialize in this? We have been working with a psychiatrist at Hoag Hospital in the Weichman clinic and we are not happy. My son is now in 3rd grade and the social issues are getting worse. Since the summer of 1st grade, we were under the assumption that Ian had ADHD, went through a year trial of stimulant meds that just made him worse. He is now on Prozac and Intuniv. We are still tweaking the dose so not sure of the results yet. We just completed an IEP assessment at school and are now qualified for an IEP under the Autism umbrella so we are thinking it is now Aspergers. He is not falling behind in school and is able to keep it together pretty well in the classroom with prompting to stay on task. He does not have sensory issues or obsessive interests but he has a wonderful memory of facts, names etc (but not in one specific topic). It is now the playground that is becoming a huge issue as he and his classmates are getting older. Ian does not understand that he cannot make people be his friend and he continues to try to persuade a group of 10 boys that formed a bad opinion of him since 1st grade, to be his friend. Ian just started some social skills classes at school with his IEP for verbal and pragmatic speech but I wonder if it is enough to help him OR if he needs to be in a special school. We also are attending a night class on social skills at the UCI child development center but again, it is only 8 weeks and I feel he needs something ongoing. Any advise you could give would be greatly appreciated!!!!! Classes, programs, schools etc. I am just enquiring for some information that might help me with my 11 year old son. I have daily battles with him regarding him brushing his teeth and washing himself. He will outright lie and tell me he has done them when he hasn't or will just make a very poor attempt at doing so. Even if it means being sent back up 2 or 3 times to redo. Also - he has flat feet and has insoles for his shoes and due to poor muscle tone he has physio exercises that he is asked to do weekdays - again he will try and skip a few exercises, won't do them right or will just outright refuse- even though he has been told by professionals that it is beneficial to him and his body. Same with the dental hygienist and his brushing. And finally - he plays guitar - loves it. But is required to practice a few times a week and his teacher has given him set time and he will shave off some time or not practice properly and I've told him if he doesn't want to play guitar he doesn't have to but he is adamant he wants to and he enjoys it and he is good at it - he just has to try and 'cheat' his way round it somehow. It's like it's just to get one up on us. I'm so drained and fed up of the constant battles. I've explained over and over they are only for his benefit not mine but nothing seems to get him to understand. Yet he is a highly highly intelligent boy academic wise. It's so frustrating. Please if you have any info to help as I am at a loss for what to do and I receive no support from anywhere. I have three children who have been diagnosed with HFA, ages 11, 14, and 16. I’m a newly single parent who works from home and the kids, by choice, do not see their father (who also exhibits signs of being on the spectrum and has all the difficulties and associate mental illness that one would associate with a middle age man who has never received diagnosis or support for his condition). Although all three are challenged in different ways, my biggest challenge is my youngest child. Having three with autism means that there is no NT sibling to take the hit and rise above the situation during conflict and they trigger each other constantly through missed social cues, self-referential thinking, and insensitive remarks. They’ve all had every kind of training possible in social skills and they are just socially high functioning enough to feel infantilized and embarrassed by social skills classes. All suffer from significant, clinical social anxiety and bouts of depression. In the breakdown of kids, my oldest is 16 and a transgender boy who is non-confrontational and who shuts down and withdraws when exposed to conflict, even if it does not involve him. His flavor of HFA is highly sensory challenged, hyperfocused and inattentive, and kind of off in his own world. He’s an artist and very, very funny. My middle child is a 14 year old boy who can be verbally combative when he doesn’t understand the logic of something, but ultimately his nature is to be compliant and he’s got a good heart. He is the most “little professor-like” and is profoundly gifted academically, but he also can be incredibly insensitive in the way he blurts out what he’s thinking and, like the others, he’s very self-referential. Out of all of them, though, he’s the “good egg” without a mean bone in his body. He often is the trigger to both of the other children, however, especially the youngest. After he’s inadvertently insulted one of them, he scrambles to make amends and to caretake their feelings. He’s the biggest bully-magnet because he’s such an open vein. My youngest child is 11 (almost 12) and the most difficult. I just don’t know what’s in store for him and he’s worried me since he was 15 months old. His entire life he’s been prone to aggressive outbursts, some relating to behavioral tantrums and relating to overstimulation. He suffers from extreme anxiety and sensory issues is rarely full regulated (he’s always hypo or hyper sensitive). He’s been in and out of school for outbursts and currently has a very robust IEP in a self-contained program at a resource center at school. When younger, I could expect daily tantrums and bi-weekly meltdowns, but as he’s gotten older, tantrums and meltdowns are rare, but when they come the stakes are higher because he’s big and when he’s angry he goes into complete kamikaze mode. Last summer, some very extreme behavioral consequences put him back on track. To recall briefly, he got out of his seat in a moving car to move on me while I was driving last summer (because he was too anxious to go to school), so I called the police so I could make an impression on him what the next step would be if he gets into a state of harm to self and others. There’s been no tantrums or meltdowns since then for about 9 months even when he’s struggling and when meldowns are looming, a self awareness from him about asking for help or doing something to regulate. He has a strong personality and is fidgety, anxious, and is a people pleaser who spirals down the rabbit hole if he feels rejected or feels that he doesn’t live up to expectations. He’s become grossly overweight, which makes matters worse and I cannot just remove all fattening food from the house because my oldest son has disordered eating and is underweight, so I have to give him full access to anything and everything just to get him to eat (per dietician’s directive). He’ll go out of his way to do anything for attention (the kind that he can control) and can be highly impulsive when overstimulated. And, unlike the other two, his verbal aggression is just . . . mean. That kind of talking to each other is just not part of our family culture, so when he’s angry he throws it at people like a rock, setting the other two into reacting. Even when in a good mood, his humor is odd and not really on point (the other two are naturally very funny), and likes to play “pranks” on us that have no real meaning other than to him, and even his positive efforts toward interaction can be tiresome. His logic is sometimes so tortured that I can never trust his judgment, even though he’s probably the most independent with certain occupational skills (for instance, he enjous the independence of purchasing something through a cashier by himself or baking something on his own). Honestly—and I feel terrible saying this—we all love him but he’s a hard kid to spend time with and he makes life really, really hard. All three have done better since I made my ex move out of the house last summer (less anxiety, more predictability, etc. ), but there is a lot of stress right now because we had to sell our house and move to another one. This is creating more unpredictability and overstimulation, as you can well imagine. Last night while at a hotel in his favorite place, my youngest got into a spat with my middle child and had a meltdown with verbal aggression. After retreating to his bed under the covers to regulate, he came out compliant and contrite, as usual. So, my question is, given my situation of HFA x 3, do you think your program would help? It would have to be an online program because I’m a lawyer who works from home and has very little time to do anything else besides work and take care of my kids. Good afternoon! I am a mother of 3 with kids on the Spectrum and also an Autism BI...This resource looks really helpful to have. My youngest is having impulsiveness daily at school and I feel it is the assistant and teacher whom are responsible for his behavior. I know my child and I do well with him while applying tools I've gained through our lifetime of therapy and training however this seems to not be transferring at school environment and the teacher will not listen to my suggestions and has an excuse and blame for his behavior. Anyway I am interested in your material to collect and learn and deliver to my children and clients.. I'm thinking about homeschooling my son as well...Our school system is ridiculous. My 8 1/2 year-old son with Aspergers was watching a Garfield movie recently and at one point the dog Opie(?) was let out and was running away and my son became very distressed and turn the movie off. This happens with most movies, even cartoons unless it is slapstick like Looney Tunes. He does not understand that these dramas are pretend despite everything we have explained to him. I’m just curious, is this because of his emotional intelligence? Perhaps his development is closer to that of a four or five-year-old? This would make sense as his social skills are certainly delayed. I don’t know but I’m just curious as he has a twin sister who would like to watch movies with him at home but he flat out refuses. Oliver will usually sit in another room and listen but not watch the movie. He has not been to a movie theater as I’m sure he would hate the sound level and the darkness. We watch watch PG movies or lower and certainly nothing rated higher than PG. We’ve watch old musicals which he will sometimes watch but I don’t think he is very interested unless there is some sort of humor he understands. I believe he prefers Looney Tunes as they are short and not realistic to him. Or, he may just not be able to sit still for an hour long movie, however he certainly can sit in front of his iPad for hours on end! I’m wondering if you are familiar with the situation and if you know of a way to explain to Oliver that these movies all have a happy ending and that we’d really like to spend family time with him this way as his sister most of all would like to share this experience with him. I am a Research Coordinator at the EK Shriver Center at UMass Medical School coordinating a research project called Mealtime Experiences (https://shriver.umassmed.edu/research/health-promotion/mealtime-experiences-study). This study is one of the Shriver Health Promotion (https://shriver.umassmed.edu/research/health-promotion/) team’s studies and the Principal Investigator is Linda Bandini, Ph.D. (https://profiles.umassmed.edu/display/133267) Dr. Bandini is also part of the leadership team of the Healthy Weight Research Network (https://hwrn.org/). We are excited about the Mealtime Experiences Research study because we are seeking to learn directly from young adults (18-23 years) who are autistic (HFA), Aspies, or have Autism or Aspergers. We are looking specifically for people who do not eat as many different foods as most of their peers or do not eat very many different foods (are food selective.) The team has developed an online questionnaire and interview to learn about the experience at mealtimes with family, The researchers would like to understand how and whether people with food selectivity feel that it impacts their lives, and if so how. We hope that what we learn may contribute to determining the types of therapy or support that people might find useful. The research was developed with input from people with autism, family members, and professionals. This study is almost unique in that it is asking people about their experience directly. The research activities can all be done online and include an online screening, an online questionnaire, an online interview. Participation is research is always voluntary, and people can withdraw at any time. We will compensate people for their time. Our project has been approved by the UMass Medical School IRB, and I can send you a copy of the approval letter for the continuation of our project into 2019. The IRB has approved all of our outreach materials, and I can send you facebook postings, tweets, listserv messages, website research postings, and can support a hardcopy mailing or sending you hard copy brochures. I would very much appreciate if you could send the information out in as many medium as possible. I am available to help you work with any research oversight agency/IRB that you might be required to get permission from. I would greatly appreciate any thoughts you have or support you can offer in getting the word out. If you know anyone who might meet the study criteria please let them know about the study. Do *not* send me their name. Please feel free to contact me with any questions. And if you are able to help please let me know. Hi Mark.. im praying you can help me. My 13yo is aspergers, processing dissorder, mild tourettes, epilepsy, bilateral optic nerve hypoplasia, field vision restriction, extreme light sensitivity, anxiety, mental health concerns, suspected add and ocd. Ive rang crisis team n theyre no use. He had knife to his throat lastnight. Im helpless... beside myself. I thought i had a good routine and tstrict boundaries but im dead ended. I cant take much more. He now doing school refusal too. He is obsessed with internet access and likes the game called fortnight. 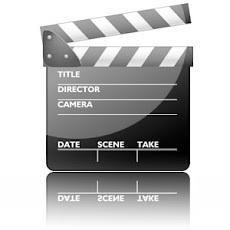 And video editing and intro making videos. He cant grasp why he has to come off at 8pm week days despite explaing a million times. He hates school. Im desperate for help. Please would you recommend i try anything different because neither of us can carry on this way. Im in the UK. My name is Kelly Jones. I saw your information on the website for children with high functioning autism. My daughter, Sullivan, was diagnosed at age 3 after I knew there was something going on due to extreme sensory issues, meltdowns, etc. We did early intervention at that time and then ABA therapy. She is now 7 and we continue to have intense meltdowns in which she becomes very violent. The bigger she gets the harder it is to know what to do and it has really torn my family apart. I am desperate because I do not know the best thing to do. We took her to a psychiatrist to see about medication but he only was with her for a brief time and concluded maybe she is not on the spectrum. It is so confusing because we have had conflicting information from different sources. In the article on the website, that describes her to a T. I am pediatric dentist, and I work with children all day who are at varying levels on the spectrum, and I see several of these children exhibit the same meltdowns as my daughter. I feel she is definitely on the spectrum, but my husband, my family are not supportive. I am her advocate and I am seeking to do whatever I can to help her. I was wondering if you have any suggestions. I am willing to travel to get her the help she needs. We live in South Alabama and we do not have a ton of resources. I found you looking up how to deal with a strong willed teen. Good article. My son Jax is 17 and giving me and my husband hell. He started this crap last summer when he just dropped the ball on everything. Quit his girlfriend, job, dropped his online driversed, then after school started a few months in, he got himself in A school til end of this yr, with drug paraphernalia on school grounds, and ended up on probation for 90 days, and in that 90 days was caught sneaking out of the house late at night, he bullys his 3 younger brothers to extreme. Last week he wanted to work for neighbors, so through a website, I got him some customers, then he throws a fit and packs up and leaves the house, then realizing he had nowhere to go, comes back. Works for this guy for 3 days and he is supposed to be there now, but he caused a war this morning between him and I, and I left him home and told him there is a bike he can take to work. Nothing and we tried that before and he doesn't have anything because he has lost it previously. Never cared to lose it, or gain any privileges back. Jax was putting money into my husbands old truck and lost that, the truck is now going to my 17 yr step daughter instead. Jax didn't care. He thought we should be giving him a new truck that didn't need work put into it. He lost his phone, and didn't care and I ended up just closing that account last week after waiting 6 months for him to atleast try. He has nothing more to take away. I can't make him care either - he just doesn't. says that if we don't let him do what he wants he will do it anyways. 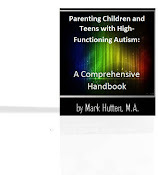 My 24 year old son was diagnosed with high functioning autism some years back and I see many similar behaviors in my husband so I believe he does have it. If he doesn't then I would have to believe he's just uncaring and self-centered though he claims he loves me. I was married previously for over 21 years before my late husband died in a car accident so I know what a normal relationship is like. After Larry died I ended up in touch with Daniel. I had been engaged to him 26 years prior to that, but Dan could never set a date to get married so I moved on. I always thought it was due to him losing both of his parents to cancer. After we ended up back in contact he said he wasn't going to lose me again and was going to marry me this time. He had remained a bachelor until then and had no children. Even though we're married Dan keeps his separate life. I still have two out of four of my children at home. The one just finished college. Dan's house is a very small one bedroom home. We couldn't move in with him so I sold my home so Dan wouldn't have to commute to work as far and I purchased a house closer to his work. He was so upset with me that he refused to touch me in any way for six weeks ( he even stayed way over on his side of the bed so he wouldn't bump into me accidentally in his sleep) though he would talk to me about his work and whatever else he found interesting. I asked him why he was treating me that way and he said it was so I would learn to listen. He didn't want me to change things. Dan is all about what he sees as fair. He has kept his house, has his own vehicles, insurances, bills, bank accounts, etc. I'm a married single woman. I have the commitment of marriage, but the responsibilities of a single parent or person. Dan goes straight from work to his house, as he has done since we got married, and comes home when he wants to. He tends to spend at least one day each weekend there as well. He writes me a check every other month for what he calls his share of the expenses at my house. He refused to have his name on my house. Eventually he agreed to having his name on my bank accounts though he doesn't touch them, and he reluctantly allowed his name is on a trailer (toy hauler for camping) I purchased. I'm responsible for caring for the up keep on my place, he is responsible for his. He hates change. He acts like he cares more about my animals then he does me. He likes to talk about what is interesting to him and is very concerned about what affects him, but seems to shut down if I try taking to him about things not interesting to him. It's hard to tell if he's listening to me because he gives no responses. I try very hard not to nag at him and treat him lovingly. I'm a born again Christian and try to live according to what the Bible says though I know I'm far from perfect. I feel very empty and alone much of the time. How can I know if he has Asperger or is just cold hearted? He claims he loves me, but I just don't know. I'm sorry for writing a book. Dan loves ice cream. The other day I bought three types and he suggested we each pick one and put our name on it (my one son is out of town so there are only three of us here at the moment) If you eat yours and it's gone you don't get anymore. It's what his mom used to do when she would buy a pack of pop. You each got two cans. I couldn't believe it. I think I'm losing my mind. I wanted to thank you for all of your great vides and insight on Asperger's syndrome, and share some of my story with you. I am 26 years old and I was conceived by artificial insemination with a donor. I had lot of issues growing up and nobody ever could figure out what was "my problem". My mother's (abusive and manipulative) exhusband, who at the time I was raised to believe was my father, would often berate me and compare me to Rain Man in a derogatory way. My mother eventually left him, told me the truth, and helped me find my dad (who I now have an awesome relationship with) with Ancestry DNA and the donor sibling registry. Once I met my dad's side of he family I found that we have several cases of autism ranging from low functioning autism to Asperger's syndrome. I hadn't given much thought about what all my ex step father had said until I met my dad's side of my family and I started watching your videos. I am pretty sure that I am on the spectrum although I have not had an official diagnosis. Once I started (obsessively) researching Asperger's syndrome it began to explain all of the issues I had growing up and even o date. Your videos among other resources have helped shed light on so many things about myself and have allowed me to develop and adapt to the neurotypical landscape more than I had ever imagined I would. I am going to eventually make some videos about my life (both being donor conceived and living with autism) and if you'd ever be interested in using me for anything I'd be more than glad to help you. I tried to make this as short as possible because there are plenty more details. If you'd like to know anything more about my experience feel free to ask me anything! I am reaching out to you as a Special Education Behavior Strategist for students who are high functioning in the spectrum. There are many of the students we have in our district who are saying words that are considered "terroristic" to other students in different situations at school and are being charged. These students are then placed in alternative schools or some may even be expelled. It is a growing concern and I would like to know what you think of this and what help there is for parents. Some of these students are committing these infractions during times when they are faced with social situations that make them feel angry or anxious. The school system and judicial system are not tolerating these behaviors. We do go to a manifestation to discuss the link to disability but the charge is still made and the student still has to appear before a judge. This is besides the schools consequence. Do you know if this is happening nation wide and can you give me any advice for helping these students? I found your information by viewing one of your videos about a neurotypical woman married to an Aspergers husband (that's my husband and I!). Your videos hit the nail on the head! My husband and I have been married for 37 years this June. I have always known he was different, but never knew there was a name for it until about 12 years ago when we were in marriage counseling (one of many counselors we have had over the years! ), and the counselor tuned into his ADHD. We finally had a name for his "condition" and learned all about it. It was a relief, in a way, to understand that I wasn't crazy and that he shared traits with many others like him. After that, he started taking medication to help him focus better at work. He has gone off and back on the meds again, which seem to help him in his demanding job. More recently, he took an online Aspergers test and scored near the top! I have since done some research on Aspergers and am convinced that he has it, although he has not been formally diagnosed. We have raised one daughter and have three beautiful granddaughters, one just born in January. We attend and are involved in our church together, but I often feel like a hypocrite, because we are basically living in a state of emotional divorce. We tried counseling again last year with a counselor of HIS choosing (a woman who also has ADD, so he feels she understands him), but after only two sessions, she suggested we leave because (as she later told me alone), my husband wasn't tracking and felt ganged up on. We went to this counselor individually (rather than together), for several months before my husband decided it wasn't working and quit. I kept going until the counselor took a two-month sabbatical and I haven't returned since she came back to her practice. The only way we have found to live together is sort of like a brother and a sister. I have come to the place where I try not to share any of my heart/deep feelings with him, as he lectures, invalidates, discounts, and outright rebukes me when I do. These are things the counselor was trying to work with him on, but he would not listen to her--he blamed me for everything. He says I have a wall up (I do). He told me last night that I shun him and that I don't respect him. I didn't want to talk with him about it because I knew it would turn into a big, ugly fight--as it has so MANY times. I can see why he feels shunned, but the truth is that I'm really trying to stay out of his way to avoid conflict. I feel despairing and that nothing I do will help make things better (been there, done that). This last year, we have seen three other couples (friends of ours), married over 30+ years, get divorced. I don't think either one of us wants to go that route. I believe that, deep down inside, we love one another. We just can't figure out how to live together happily. 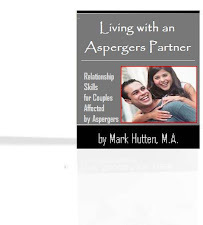 I am writing to ask if you know of any counselors in my area that specialize in the Aspergers marriage relationship. We live about an hour north of Seattle. I really feel that we are at the bottom of the barrel and need a third party who understands these things to talk to. The last counselor told me that she was trying to figure my husband out and that he seemed very "rigid in his beliefs." I apologize for the length. Thank you for your time. Mark, I would like to know if this program might help my 18 year old grandson. We’ve actually been very lucky he was always a mild mannered child and through most of his teen years. Recently my daughter brought it up to me that he is regressing from learned things. Like taking a shower, wakes up at night and sneaks to eat. All of a sudden he has insomnia now. . After 4 months of Serequel, abilify, Geodon and back on Serequel for meltdowns. He weighs 231 now. Almost like he has selective hearing when told to do a task. But when I take him to restaurants, he has no problem ordering what he wants down to the details. He can get on phone and google anything. What is peculiar is during his meltdowns he says stuff like he’d like to smash jim carrey’s face or give him a dirty look. He’s never met him except through watching movies. Even his favorite actor jeff daniels, gets the negative treatment, like why doesn’t jeff daniels fix his face. When he was 10 he innocently watched ice age like he used to watch toy story when he was 5 years old. Over and over. But when my daughter lost her baby and we told our grandson, he all of a sudden hated the wooly mammoth, who used to be his favorite character. He has also laughed at things in his own world, while stimming. Which is better than a meltdown. For him, hitting the wall is like a girl throwing a ball for the first time. For his weight , has no strength. Has now taken up cuss words during his meltdowns. Never used God’s name in vain before. He definitely needs behavior training. Mark, just skimming over the information leads me to believe you know what you’re talking about. Too bad or sad my daughter was too busy to find new ways to approach her son besides yelling and slapping. Lucky for her he is 18, otherwise she might be in jail. Another sad note is she let him meltdown so bad he ‘caused’ a commotion at Kaiser Permente ER (which has no expertise with autistic young adults). LET’ S PUT HIM ON 200 MG OF SEREQUEL IN THE AM AND PM and see if he does better!!! The last visit to the ER, my daughter let his meltdown lead to a 5150. Now he is labeled ‘VIOLENT’. THE HELP FROM THE LOCAL VMRC will definitely lead to a level f4 facility. I will be purchasing you ebook and hopefully get my daughter and her none working lowlife husband to be educated and help vs. cause drama. 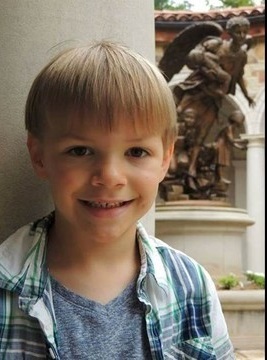 Mu grandson had to listen while the stepdad hurled verbal abuse at his mother for years. Not to mention all the ‘drill sargent’ techniques which complicated things. The kicker of it all, he was never in the military besides being on play station all day and not getting involved the positive way. Thanks for listening. I found you via youtube, and have been very impressed with the very unique information you've shared there. i eventually found my way to your website 'living with an aspergers partner'. i have not yet purchased the ebook, but am in the process of deciding whether or not to do so. i am only hesitating due to fact that the woman who just broke up with me (mid jan) not only has apergers, but also has bipolar. i've done an intense amount of research on both conditions, and am trying to find the best information for my particular situation, which is this recent break up. i am looking for information to help me understand what happened, at the very least. but i am also looking to heal the relationship, in whatever form that takes (whether it's to rebuild it, let her go, be just friends, or break contact forever). i want to do what's best for her and of course what is best for me. i'll give you the quick rundown as i very much appreciate your time and do not want to waste it. i was in relationship with a young woman who is on the autism scale. high functioning. diagnosed with apsergers syndrome. BUT, she also has bipolar syndrome as well. she takes her medication / has no desire to get off of it / understands its effectiveness. she had a very rough childhood, in that her birth father, and now i am basing this only on what she told me, was a real son of b_____. her mother divorced him, but not before so much damage was done. and the emotional abuse essentially continued during her forced visits with him. but she has a wonderful loving and caring step father, and that is why she has certainly done so very well in that respect. (doesn't have a reactionary 'hate-on' for men, for example. she seems wise beyond her years, most likely due to the fact that she's had to face all these emotional issues at such a young age, she also seems like one of those 'old souls' so to speak). she has a very supporting family, her mother especially. the love and care that she has provided for her is incredible. she has a strong bond with her. it's easy to for me to understand why. i suppose i consider myself an NT (but as a child was put on ritilin as i was deemed a 'hyperactive child' - my mother took me off it after a week because she noticed that my personality changed for the worse (zombified as they say - i also have a mentally handicapped brother 2 years younger, and so you can imagine the kind of neglect i experienced due to his special needs. i basically 'soldiered on' in life and managed to get over or at least do a good job of hiding any psychological issues i was dealing with). i've done alright in life. but recently, because of some very unfortunate events in my life (betrayals and confusion involved in workplace politics as well as my less than stellar reactions towards those issues), for the last 2 years i've deduced that i've been clinically depressed. i have been working through it and have been improving tremendously. i believe i'm almost out of it. i'm also a 2 time emmy award winner (i work in film) and have had many accomplishments in my life, but due to certain emotional/psychological issues, i seem to have underdeveloped aspects of my personality that i was able to get away with all this time. those aspects have hampered my social interactions from time to time. i am certainly someone who has absolutely no problem being alone / single. i can endlessly entertain myself and have an undying curiousity for the things that interest me. i've been used to living life the way i want. doing what i want, for at least 25 years. another aspect of our unconventional relationship is that i am 49 and she is 21. she is from michigan, and i am from toronto (canada) i am japanese, she is european, in ancestry. she pursued me online via a music dating site (without even knowing what i looked like, what i did etc - she liked what i wrote in my profile, so her intial curiousity was based on the things that were very important to me) , we spent months interacting online, and then moved to skyping, before she came to visit me in person. all of this motivated by her, as i was the more hesitant one always lol. also, her parents knew all about it and we had their blessing to keep going ahead and explore the relationship. this was another very important factor in me deciding to go along with it, as i am not at all in the habit of dating anyone that much younger than i. i also met her mother in person, as she drove her daughter to toronto the 2nd time she came to visit. it was a great experience. i had obviously skyped w her mother before the 1st visit as well. i was simply captivated by all the common similarities between our personal histories (which i won't bother getting into, suffice it to say, it seemed like 'a match made in heaven' so to speak. sprititual, political, musical, culutral similarities and commonalites, along with intense childhoods and feeling our families were unconventional and weird (in a good way). and it was those things, along with her unique outlook on life that captivated me into giving it a try. she is very pretty too. but also had some acne most likely due to side effects of the SRRI she is on. acne was not a turn on for me lol. but something i did not consider very important. and oddly enough by the time we met, it was gone. she was always very upfront with me about her conditions, and i did a certain amount of research into it before agreeing to move forward with her. i obviously didn't do ENOUGH research. i did not find ANY of the 'stay away from bipolar women' or the '80% of asperger marriages end in divorce' videos. and when i did i was shocked. as well, i'd say 95% of the time her conditions didn't seem to effect our interaction at all, and so it became very easy to forget about them. so i was carrying around the stress of my life situation during our relationship. in a way, her love and the hilarious and fun filled times we had were like a buffer from that particular reality. a way to escape. i had NEVER laughed so much in my entire life, as we certainly shared a bizarre sense of humour. i did not get 'mad' at her directly, but i became confused, as i certainly had a right to be, and she SAID she understood, 'if the tables were turned' etc. i was under so much stress to get my end of the month financial dealings in order, as well as doing important self healing exercises to continue to strengthen my own constitution, that i was heavily effected by what was going on between us. and i asked for a week without skyping (we skyped almost EVERY day, for several hours and it is something we both enjoyed tremendously as it added such love and happiness and fun to our daily lives). but after the disclosure of her trip after the fact, i didn't feel the same at all, i was no longer feeling 'fun' and did not feel like skyping or interacting with her in the same way that we used to. it scared me. i was confused, and wanted some time alone to think it all through before discussing it with her, because i felt my feelings and thoughts were too raw, and that i'd say something innappropriate that i'd regret later, if i were to do so. but in a way i hid that reasoning from her for the first little bit, and used my busyness with my life as the main reason for needing space. i now understand that giving the 'silent treatment' to someone w bipolar, in such a situation is somewhat like torture, and it also allows their imagination to run wild, in a negative fashion and create an incredible amount of anxiety. i had written many emails to her that i never sent because i deemed them too aggressive. but finally i told her the truth about why i wanted some time to myself, and she thanked me for the honesty. actually she has always thanked me for those kinds of emotional expressions. as something we actually bonded over was the fact that we appreciated ... full discolure. just tell me what's going on. that kind of thing. but somehow we slowly let those things slide, and i can understand now how we had developed some communication breakdown during the last few visits. in a way now, i feel responsible for her looking to someone else to talk to about the things she felt she couldn't talk to me about. i say this as she has witnessed my outbursts of frustration. never directed at her, but expressed nonetheless. (example, i break a glass, i would scream fuuuuuuck, and i mean really scream it) i've been experimenting with getting in touch with my own feelings of anger about issues, and all my life i've never been able to fully express it. so this is something that i consciously allowed her to see. in hindsight that was an obvious mistake. and even though we were in a relationship there was always a part of me that felt that i shouldn't be in one since i was working through such issues. i can now see how i in a way, these brief outbursts, scared her to a point that she did not feel like adding burden to my life. and that she felt that expressing certain relationship concerns to me was simply that. adding burden. i apologize mark, this wasn't as brief as i inteneded. but i do hope that perhaps, it is interesting to you as a clinician and counsellor. it certainly does help me to express it to you as i've not really shared my experience to someone as qualified to understand it as you are. i appreciate your patience. so long story short, after i sent her my desperate plea for space, and the honest reasons why, that also included an ultimatum threat ..... explaining that i was feeling so stressed out that if i had sent her the emails i didn't send, that we'd probably have broken up ..... she thanked me for telling her, and agreed to give me some space. that lasted for a day. the next day she initiated the breakup, and brought up a bunch of reasons why. reasons that were from arguments that i thought we had mutually moved on from. i was so flabberghasted and tired that i simply, and rather calmly agreed to it. this obviously was like 'the icing on the cake' so to speak. but SINCE then, i have recovered and have forgiven her for these things. learning even more about aspergers and bipolar much of what i experienced with her, at the end, certainly makes sense. it's understandable. and it was very unfortunate that neither of us had even the basic relationship TOOLS to know how to discuss matters between us in a constructive way. so when we did, we both became defensive. we have only interacted via email twice since she sent that email to me, on the day she broke up with me. the most recent email was very cheery and certainly friendly. the first email i sent after she broke up with me was a bout after two weeks, where i simply was very sad and was confronting the reality of the situation. i had simply sent her an email with an attachment of some psychological exercises that she had always wanted me to send her, and so when i finally felt calm enough to reconnect with her, i asked her how she was doing, explained briefly how i was doing (which was not great lol), and then also sent her these exercises. she thanked me. told me she was fine, happy, and moving on in life. simple. short. and kind of cold. lol ..... totally understandable. but like i mentioned the most recent email was certainly much better. it felt like we were communicating like the old days. but i left it at that. one other very important detail that i should share is the fact that even though i did love her during the relationship, i did not express it to her in words very much, nor did i communicate my affection to the extent that she needed, phsyically, like more hugs, more initiated hand holding. it was certainly a point of contention that became HUGE by the end. there are personal familial reasons for the way i acted as well. the way i was brought up for example. also, i can honestly say that i did not FEEL ... IN love with her ... like she did with me. i was most certainly a bit numb, even though i could certainly express emotions very easily with her. for instance. i put on the beatles 'abbey road' for her and we listened to it by the end i simply started to cry because i thought it was so beautiful. she was like that too, we'd watch these incredible films or listen to music and cry because of the beauty. anyway, the point is that now, after having the time to really sit and think and go back and look at all the incredible things that happened, that we shared, that she did for me. i actually feel like i'm falling IN love with her. this is kind of disconcerting considering we are no longer a couple lol. i can laugh about it to an extent, but i am also concerned. and hence am looking to the right thing for both of us. i am certainly open to rebuilding a relationship now that i have discovered that there ARE tools out there designed to minimize the impact of disorders such as aspergers and bipolar. i am also quite aware of the choice i am making (in wanting to continue to explore my relationship with this very special person) , as there is a tiny part of my mind saying, come on, do you really need the hassle? but really, relationships take work regardless, and for some reason i do feel like i am built to deal with such challenges, as i've dealt with them all my life. i also understand now that love is not enough in situations such as this. and that is why i am so extremely curious of your offerings via your ebook. the last concern i have is that during all of this the relationship and my 2 year depression, i actually started to wonder if i have bipolar or aspergers (remember how i was put on ritilin as a child) ... to a limited degree. perhaps that i share some of these traits from time to time. i've never felt so 'off' that i couldn't function in life. i've certianly not experienced mania for 2 weeks straight ............... like i mentioned, i've done pretty well so far, up until the point where i stopped working due those unfortunate events i mentioned earlier. but i'll tell you, when i was watching all these videos, half the time, i was actually identifying with what the person (with aspergers or bipolar) were saying. and throughout the relationship she was actually doing a lot of comforting FOR ME, due to her understanding and empathizing with how i was describing my emotions, and what goes through my mind. i guess i feel that most of my life i've coped with psychological issues, but something made me snap 2 years ago and i started looking for answers. A friend posted some of your information on Facebook today so I took a look. I was wondering if you've had experience with teenagers who have NOT been diagnosed with Asperger's or High functioning Autism but yet display many of the same signs? My teenage son has many (not all) of the characteristics you've described especially regarding the social and highly emotional issues. We have struggled for years and are still looking for resources, counselors or anything to help out son become a stable, productive member of society. He's such a great kid with an amazing heart and soul so it's such a shame that something so innocent can effect him to the point of completely shutting down and not being able to cope or "get through". We are hoping you might have some suggestions/resources for us to begin trying or looking into.